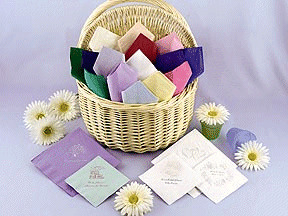 Design your own custom printed wedding napkins and matches. Available in a variety of colors, sizes and styles! Order wedding napkins, personalized wedding napkins, wedding cake wedding napkins, imprinted napkins, cheap wedding napkins, custom napkins, reception napkins, wedding favors online. Our custom printed napkins, custom printed wedding napkins, printed napkins, napkins wedding are best wedding napkins we offer on our wedding supply store.